Long gone are the days when computer security was about data. Now, it’s about the much more critical and personal issues of life and property. While these consequences are inevitable, we can prepare for them. First, by looking at previous attempts to secure these systems. Then, by considering the appropriate technologies, laws, regulations, economic incentives, and social norms we should focus on going forward. Join us for this edition of Spotlight on Cloud, to better understand the current and future challenges of internet security and how you can equip your business to deal with them confidently. O’Reilly’s Spotlight Series explores emerging business and technology topics and ideas through a series of one-hour, live interactive events. You’ll engage in a live conversation with experts, sharing your questions and ideas, while hearing their unique perspectives, insights, fears, and predictions for the future. In every edition of Spotlight on Cloud, you’ll learn about, discuss, and debate the complex, ever-evolving world of the cloud. Best of all, you’ll discover how successful companies have adopted and embraced this massive network of shared information, and how you can follow their lead to transform your organization and prepare for the Next Economy. Bruce Schneier is an internationally renowned security technologist and was dubbed a "security guru" by The Economist. He’s the author of 14 books, including The New York Times best-seller Click Here to Kill Everybody, as well as hundreds of articles, essays, and academic papers. 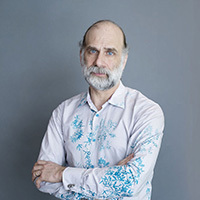 His influential newsletter Crypto-Gram and blog Schneier on Security are read by over 250,000 people. Schneier is a fellow at the Berkman Klein Center for Internet and Society at Harvard University; a Lecturer in Public Policy at the Harvard Kennedy School; a board member of the Electronic Frontier Foundation, AccessNow, and the Tor Project; and an advisory board member of EPIC and VerifiedVoting.org. He’s also a special advisor to IBM Security.